Tipton, Mo. (Jan. 23, 2015) — The Co-Mo Connect project will reach its destination. The Co-Mo Electric Cooperative and Co-Mo Connect Board of Directors voted this week to move forward with the final two phases of the four-phase plan to bring Co-Mo Connect and its state of the art gigabit connection speeds to the entire service territory. The vote ensures that the original intent of the project — to make the fiber-to-the-home Internet, television and telephone service available to all Co-Mo members — will be fulfilled. Phases 3 and 4 will be combined into one final project, with the construction process expected to begin immediately after Phase 2 is completed early this year. 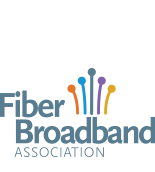 “All indications are that this makes Co-Mo the first cooperative in the nation to build fiber to the home and offer gigabit service to all its members,” Johnson said. Signups in the final phase of the project are not yet open. Residents will be contacted by email and direct mail when they are eligible to join. Co-Mo Connect General Manager Randy Klindt said he anticipates construction to be completed by the end of 2016, months ahead of the previously planned schedule. “That’s tentative and depends on a lot of things, such as the weather and availability of crews and parts, but that’s our goal,” he said. Those who sign up during the construction phase agree to pay a $100 installation fee, which provides a portion of the costs to run the fiber optic lines directly to subscribers’ homes. It’s that 100 percent fiber-to-the-home connectivity that provides one of the service’s main advantages, Klindt said. Internet speeds start at 5 megabits per second for $39.95 a month, before taking a big jump to 35 mbps for $49.95. The top speed is 1 gigabit per second — 1,000 megabits — for $99.95 a month. All Internet speeds are symmetrical, which means the upload speed is the same as the download speed. “No other provider can even come close to Co-Mo Connect’s upload speeds,” Klindt said. Details on other packages, as well as TV and phone deals, can be found at Co-Mo.net. It was during Phase 1 that the opportunity came to extend the project beyond Co-Mo Electric’s service territory. The city of California helped pave the way for installation on city poles in space previously occupied by cable abandoned by a cable company. The city of California project is complete, and service is available citywide. As the California project progressed, the opportunity to extend fiber in the cities of Tipton and Versailles emerged. As the project enters its final phase of construction, Co-Mo’s team of employees has demonstrated it is absolutely possible to deliver gigabit speeds via a 100-percent fiber network in a rural area. “Despite what other telecommunication companies say, it’s not only doable, but it’s happened. The broadband speeds we deliver are 100 times what the FCC now determines to be broadband in rural areas,” Klindt said. Along the way, the project is spurring economic development. Co-Mo Connect now has 19 permanent jobs ranging from subscriber support positions to highly skilled technical roles. And the contractors building the network are eating in local restaurants, filling their trucks at local gas stations and accessing local community services. “It’s not just the residential aspect of the network. Schools and business are realizing the possibilities to use fiber connectivity to improve education, commerce and competitiveness,” Klindt said. For more information, visit Co-Mo.net, the Co-Mo Connect Facebook page at facebook.com/comoconnect or call (800) 781-0157.